New York Wig Store Insurance. Wig stores sell wigs, toupees, hair extensions, hairpieces, and hair care accessories. Their customers range from theater performers to older adults with thinning hair to those recovering from an illnesses related hair loss. Hair goods stores specialize in the sale of wigs, wiglets, hair pieces, and toupees. They may sell bath supplies, beauty aids, cosmetics, costume jewelry, fragrances, and related items. The store may be independent or part of a regional or national chain that sells items online as well as in stores. Some offer consulting services to customers to help them select the proper cosmetics and colorings for skin types. Others may be part of a beauty salon that provides hair care, manicures and pedicures, massage, electrolysis, tanning booths or beds, and other personal services. Some may offer delivery services. As an entrepreneur operating a wig boutique, you face some risks. These include employee or customer injuries, crimes like theft or shoplifting, or basic business risks such as property damage. 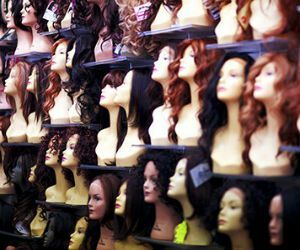 New York wig store insurance is the best way to protect your shop against these risks. New York wig store insurance protects your boutique from lawsuits with rates as low as $27/mo. Get a fast quote and your certificate of insurance now. General Liability - This is the first New York wig store insurance policy to purchase. It covers personal injury, property damage, products liability, and completed operations. While it may be a rare instance, if one of your clients trips over a wig stand and hurts herself, the general liability policy would cover the medical costs. Likewise, if you make a custom hairpiece for a client that later causes them hair loss or irritation, they can sue you. If s customer sues you, the policy will pay legal costs on your behalf for the claims made against you. Also, the general liability policy covers products liability for any loss or damage caused by the products you sell if you select that option on your policy. Business Owners Property (BOP) - To obtain multiple insurance coverages in a single policy, purchase a business owner's policy. This includes your choice of coverages in a package, including business income protection, electronic data, property and contents, general liability, equipment breakdown, and more. In other words, a BOP policy bundles major coverages that are necessary to protect you from the risks while operating your NY wig store. Workers' Compensation - The law in most states demands that all non-owner employees should be covered by workers comp. The NY workers' comp policy is crucial as it covers all work-related illness or injuries. Your wig store poses risks to your employees, such as back injuries from loading heavy boxes, repetitive motion injuries and cutting their hands when handling box cutters. These injuries are covered by worker's compensation insurance including all medical and recovery costs. Business Property - Unexpected events like wind, fire, and extreme weather can cause significant damage to your business contents and property. With a wig shop, you are at higher risk for fire due to flammable hair pieces and how quickly they can be destroyed in a fire. A New York wig store insurance property policy protects your business assets from this kind of losses. Umbrella - The New York wig store insurance policies for your wig store have coverage limits. The commercial umbrella liability insurance is used to increase your liability limits for all your risks under one policy to protect your wig business for claims exceeding your primary policy limits. Cyber Liability - A cyber liability insurance policy is essential if your wig store also operates as an e-commerce store that sells hairpieces online. A cyber liability policy is different from crime insurance as it only covers cyber crimes like theft of financial or personal information through web transactions. Cyber liability insurance policy also covers crimes against you, such as paying for merchandise with stolen cards, hacked PayPal accounts or other types of fraudulent activity. Commercial Crime - Although you have taken proper security measures against shoplifting or theft crimes, it does not mean it will never occur in your wig shop. Crimes such as theft from employees, shoplifting of wigs, and vandalism of merchandise can happen right under your nose. To protect your boutique from losses resulting from these crimes, purchase a crime insurance policy for your store. Whether you sell toupees, wigs, or hair extensions, you are open to many risks. While you cannot prevent certain events, you can protect your business from a financial struggle with New York wig store insurance. Premises liability exposure is high due to the number of visitors to the store. To prevent slips and falls, there should be good lighting and adequate aisle space. All goods should be kept on easily reached shelves so customers do not pull items down on themselves. The stock dropped on floors by customers must be retrieved promptly. Flooring must be in good condition with no frayed or worn spots on carpet and no cracks or holes in flooring. Steps and uneven floor surfaces should be prominently marked. Sufficient exits must be provided and be well marked with backup lighting systems in case of power failure. All goods should be kept on easily reached shelves so that customers do not pull down items on themselves. If makeovers are offered, employees performing the makeovers must be properly trained and licensed if required by the state. Questions regarding customer allergies should be obtained prior to offering services. Equipment and supplies used for servicing customers should be sterilized between uses or disposed of to prevent the spread of disease. Parking lots and sidewalks need to be in good repair with snow and ice removed, and generally level and free of exposure to slips and falls. If the business is open after dark, there should be adequate lighting and appropriate security for the area. There should be a disaster plan in place for unexpected emergencies. Personal injury exposures are from allegations of discrimination and from apprehending and detaining shoplifters, which may result in claims of assault and battery, false arrest or detention, unauthorized or intrusive searches, or wrongful ejection from the premises. Shoplifting procedures must be fully understood and utilized by all employees. Products liability exposure is normally low unless there is direct import of the products. Foreign-made items should come from a domestic-based wholesaler. Any direct importer should be considered as a product manufacturer. Workers compensation exposure is moderate due to employees standing for long hours, the use of computers, and restocking which requires lifting and placing items on clothing rods or on shelves. Continual standing can result in musculoskeletal disorders of the back, legs, or feet. Trips, slips, and falls are common. When work is done on computers, employees are exposed to eyestrain, neck strain, and repetitive motion injuries including carpal tunnel syndrome. Lifting can cause back injury, hernia, sprains, and strains. Shelves should be easily accessible. Stepladders should be available. Employees should be trained in proper handling techniques. Housekeeping in storage areas, especially during peak times, is vital in preventing trip and falls. Skin, eye, and lung irritants can result from handling of hair, hair products, cosmetics or chemical applications used to service customers. Cleaning workers can develop respiratory ailments or contact dermatitis from working with chemicals. In any retail business, hold-ups may occur. Employees should be trained to respond in a prescribed manner. Property exposures are moderate. Ignition sources include electrical wiring and heating and cooling systems. These should be maintained and meet current codes for the occupancy. Electrical items such as hair dryers and curling irons should be checked often for frayed wires to prevent a fire. Hair is extremely combustible. Should a fire occur, the stock and its packaging materials provide a combustible fire load that is highly susceptible to water and smoke damage. Hairsprays and aerosol items used for styling add to the fire potential. Individual items may be shoplifted. Appropriate security measures should be in place, including physical barriers to prevent entrance to the premises after hours and an alarm system that reports directly to a central station or the police department. Business interruption exposures are low. Except for custom-made items, replacement stock is usually available quickly. Crime exposures are from employee dishonesty and theft of money and securities either from holdup or safe burglary. Background checks should be conducted on all employees handling money. There must be a separation of duties between persons handling deposits and disbursements and reconciling bank statements. Receipting, inventory monitoring, and regular auditing are important. Money should be regularly collected from cash drawers and moved away from the collection area, preferably to a safe on premises. Bank drops should be made regularly to prevent a buildup of cash on the premises. Inland marine exposures are from accounts receivable if the store offers credit, computers to transact sales and monitor inventory, and valuable papers and records due to customers', employees', and vendors' information. Backup copies of all records, including computer files, should be made and stored off premises. There will be a bailees exposure if the store cleans or repairs hairpieces belonging to customers. There may be goods in transit between stores or if the store delivers items to customers. Commercial auto exposure is generally limited to hired and non-owned liability for employees running errands. If the store delivers items to customers, only company vehicles should be used. Drivers must have a valid license and acceptable MVR. Vehicles must be regularly maintained with records kept. Getting New York wig store insurance quotes can be a bit tricky because there are not as many companies offering this type of insurance. The best place to start is the internet. 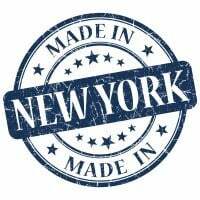 A quick search will get you a handful of NY brokers you can contact. You may get an online quote, but in this case, it is best to contact them directly in person or by phone.